As soon as Jad was old enough to hold a shovel, he was helping his family cultivate the land on their 24-acre organic homestead. As an adult, he managed several organic and biodynamic small scale farms and orchards in the Sierra foothills in Northern California. 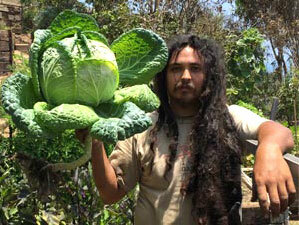 Now his mission is to bring the joy of growing the highest quality organic food to the urban environment. As the owner of LA’s original urban faming business, he hopes to lead the way to a more sustainable future. 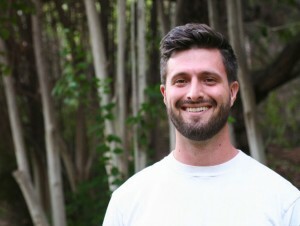 His approach embraces permaculture design, biodynamic composting methods, integrative pest management with an emphasis on cultivating soil fertility. He studied Horticulture at UCLA and he is currently teaching urban farming workshops at USC and throughout the greater Los Angeles area. If Jad were a vegetable, he would be a parsnip. Daniel was self driven as a kid to grow tomatoes for his family and friends every year. 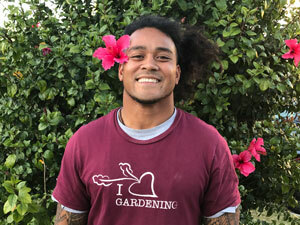 As an adult, he put his green thumb to use as a farmer for Veggielution urban farm in San Jose and as a volunteer for many non-profit food justice organizations. Later, he spent over two years working at Full Circle farm in Sunnyvale, designing and implementing garden education curriculum for the adjacent middle school, and growing food for their CSA farm. As the manager of Heart Beet Gardening, Daniel has overseen the installation and maintenance of LA’s most beautiful and productive organic gardens. In addition to being a farmer, he is a fine artist and this passion for beauty is reflected in his garden design and execution. If Daniel were a vegetable, he would be a Cherokee Tomato. Whit began her gardening career working on a wild blueberry farm in rural Maine before pursuing urban farming in Washington, DC. 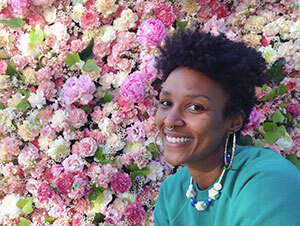 For five years, she worked with seniors, adults, and youths in low income communities educating them on how to grow their own fruits and veggies toward food security, while maintaining residential gardens. 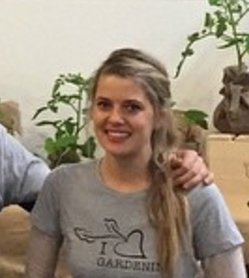 Whit moved to Los Angeles last summer to get her hands into west coast soil, in hopes to motivate city dwellers to grow their own. If Whit were a vegetable, she would be an asparagus shoot. If Hollan were a vegetable, he would be a taro. If Victoria were a vegetable, she would be a Victorian Rhubarb. If Sheena were a vegetable, she’d be a Swiss Chard. © 2007-2019 heart beet gardening, llc.